For darkness terrifies. It swallows you, warps you, nullifies you. Who alive can possibly profess confidence in darkness? In the dark, you can't see. 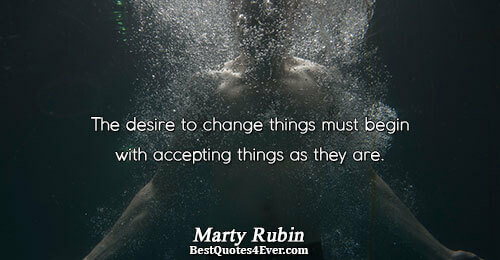 The desire to change things must begin with accepting things as they are. 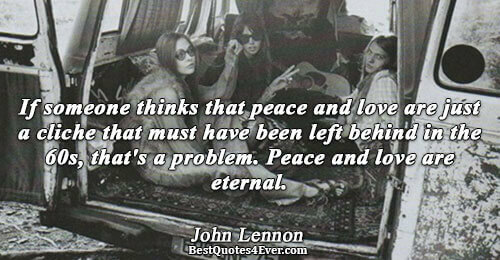 We cannot change anything unless we accept it. Condemnation does not liberate; it oppresses. 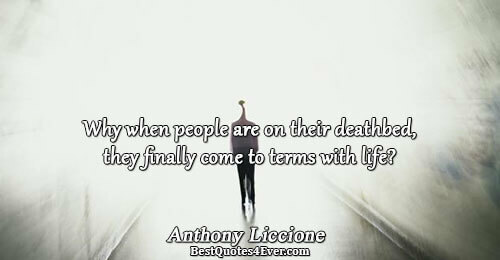 Why when people are on their deathbed, they finally come to terms with life? If I can be susceptible to change, then the challenges of life should be just another chapter of my life. After all, change is life.